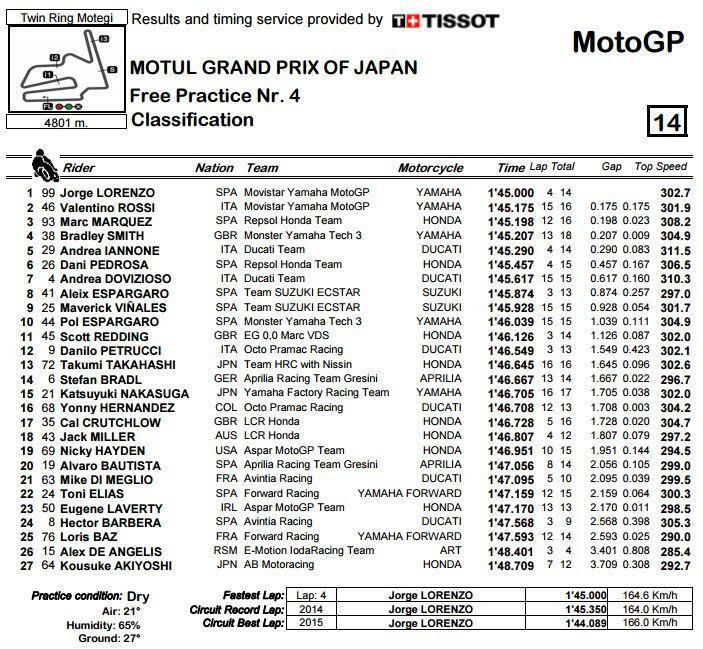 A heavy crash in the middle of the final practice session at Motegi saw a lengthy delay after a heavy crash for Alex de Angelis. The San Marino rider was airflifted to hospital with circuit medics confirming that he was breathing unaided and conscious when treated trackside by the medical staff. 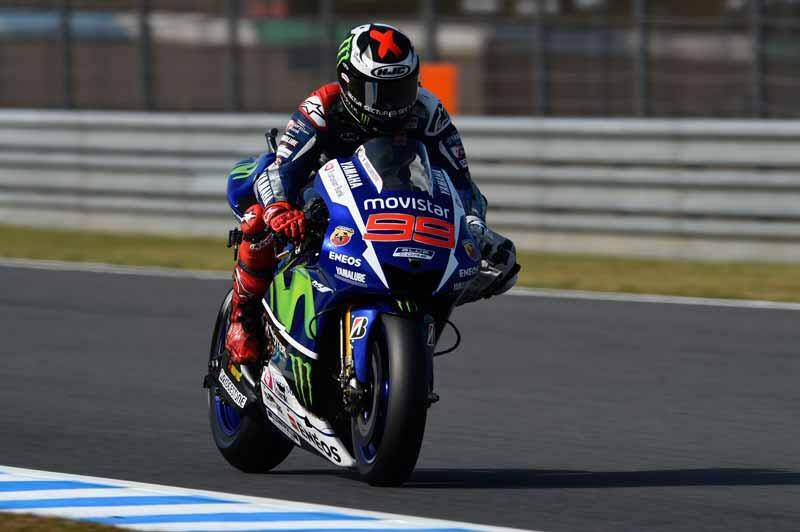 When the action resumed after the delay Jorge Lorenzo and Valentino Rossi led the way with the Yamaha riders showing their strength once again. The pair were marginally quicker than Marc Marquez with Bradley Smith enjoying another impressive showing to finish fourth fastest and just two tenths of a second off the pace. The Ducati's of Andrea Iannone and Andrea Dovizioso both sported additional wings during the session and finished fifth and seventh fastest respectively.